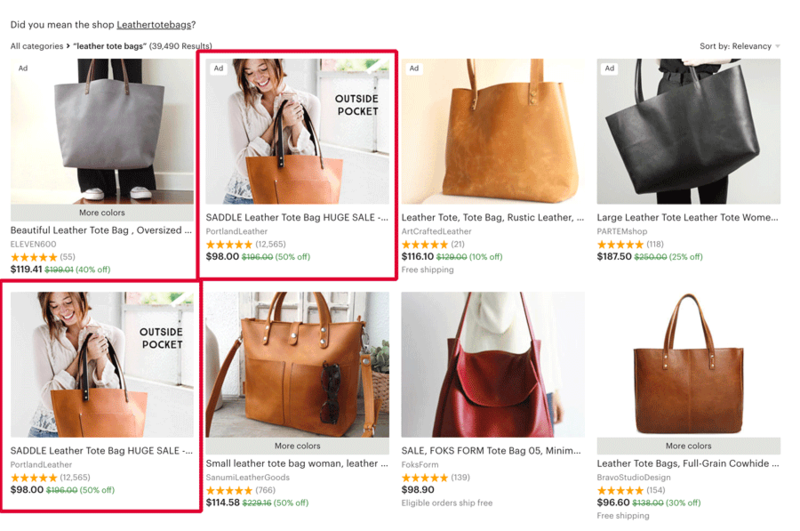 If you are a handmade, digital or supplies Etsy seller, you have such a unique opportunity to use multiple listings of the same product to rank for different keywords in your Etsy SEO and product photography… let me explain! This shop, Portland Leather, is the king of doing this kind of product marketing.. They sell amazing leather products and I found them when I was looking for a great, casual leather “tote bag” to carry around my planner. 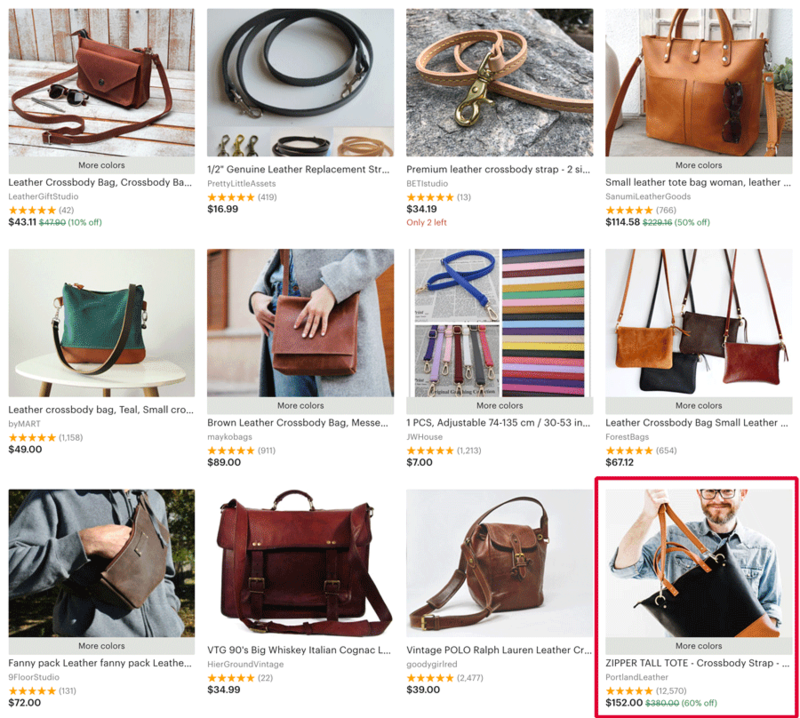 Doing an Etsy search for “leather tote bags” they come up in search as an advertisement and the first organic listing… WOW, that is impressive! And if that was the end of the story it would surely be a success, but wait a minute… maybe not everyone calls that kind of bag a “tote bag”, maybe they call it a “crossbody leather bag”… then they are not number one, but they did hit the top dozen! So they functionally make 12 products but have 200+ listings. How is that EVEN possible? They are so darn smart about their marketing is how it happens!! First off they do the easiest thing and have a listing for “gray tote bags” and “brown tote bags”, etc. As an ecommerce seller is it super important to know that buyers looking for a certain colored product are more likely to purchase them if they see the main picture in that color. 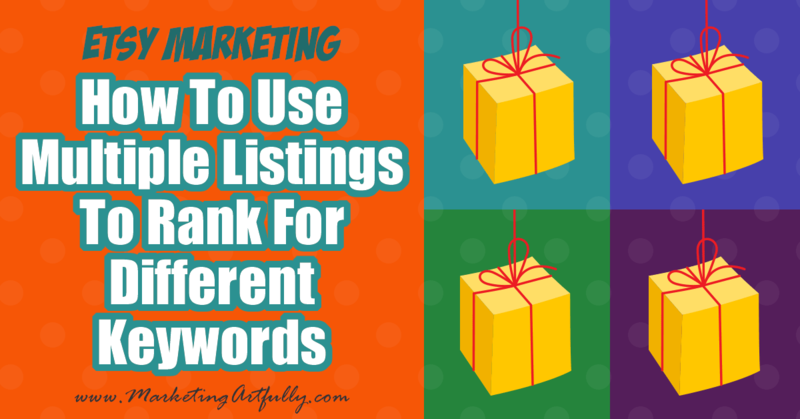 Using multiple product variations is an easy way for sellers to list items fast, but having individual products that you can SEO for each item exponentially increases the search terms you can rank for! If you only have one listing with multiple color variations then the positive reviews for that listing will all show up when a buyer looks at the details. 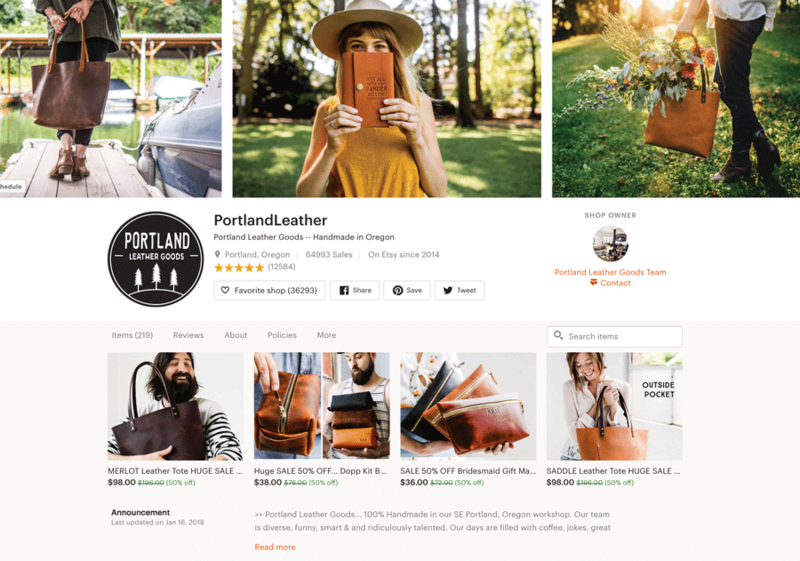 Etsy will “credit” you for the sales and they have said that recency of sales is one of the key factors they use in deciding which products to show in search. If your product does not show up in search because other products have specialized with your color, then you have no chance of selling that item. There are fewer competing products when you drill down on the color. I used the “competition chart” in Marmalead to see which terms ranked best. 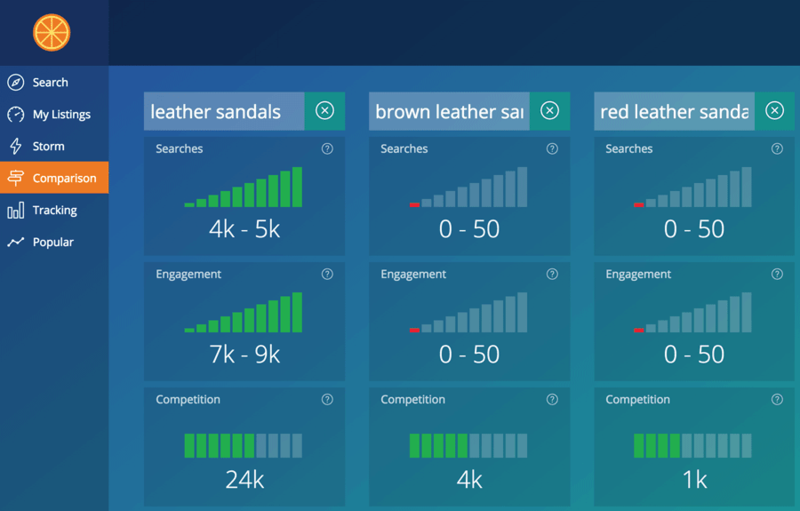 YES, leather sandals gets more searches per month, but if you own “red leather sandals” you can be the first product shown since the competition is so much lower. Also, someone typing red leather sandals is much further down the buying cycle and more likely to convert into a sale than someone who is at the start of their search and only knows they want leather sandals. Doing some searching around I found another bag making company that does a great job with using multiple keywords to reach different types of buyers for same product. KOVEREDUK has two of the same bags with different keywords and tags in their listings! Now, do I think that they have “holdall” in there way too much and could they get even more, different words in… YES! 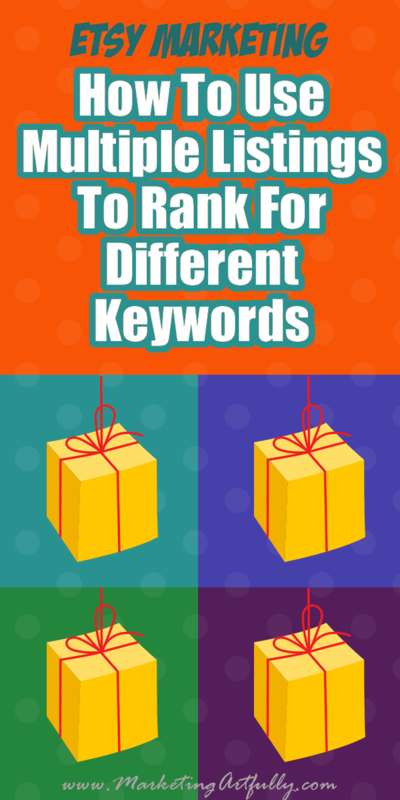 But it was exciting to see how the they are using SEO to rank for different terms. 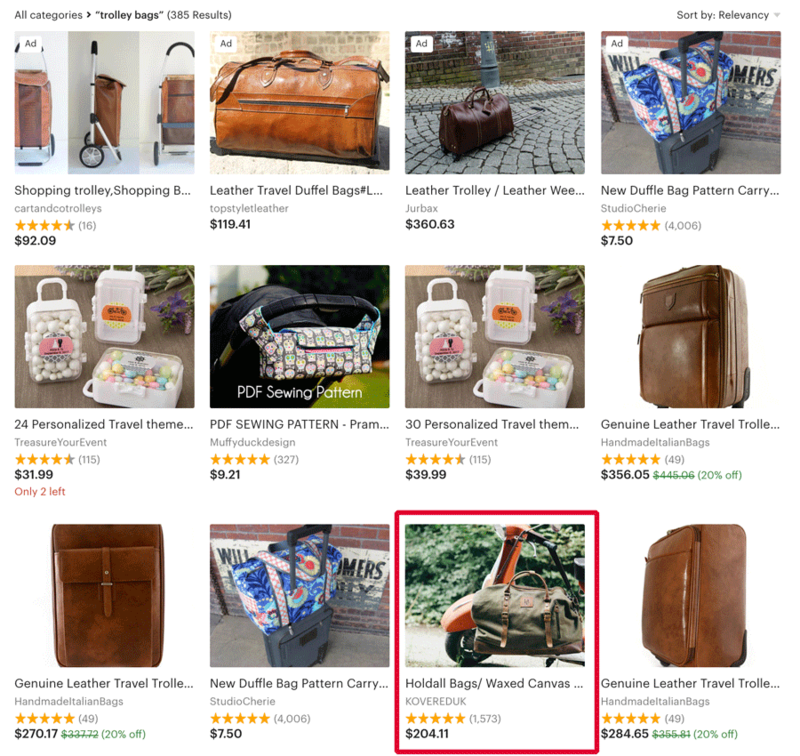 Here they are in Etsy search ranking for “trolley bags” which CAN NOT happen with the second listing because they did not use those words in their title or tags. Again we have the “cumulative sales of one product drawback”. The benefit of actually showing up in Etsy search for a relevant search term is priceless. If they did not have those different terms they could NOT be found in search. Etsy has specifically said that they don’t mind if you do multiple listings for the same product, provided you have the inventory to fulfill multiple orders of that item (which is why this doesn’t work for vintage products which are one of a kind items).